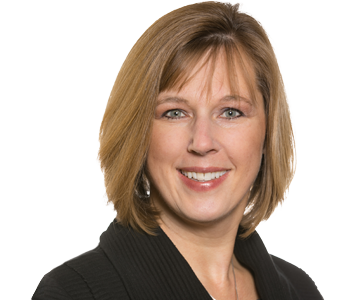 Jennifer serves in a dual role as Chief Operating/Financial Officer and brings over 20 years of executive leadership experience to Pinnacle. She is directly responsible for strategic operations for the Pinnacle family of companies, while leading the organization in the areas of finance strategy, human resources planning and communications, business development and positioning. In addition to organizational development and stewardship, she provides leadership in the areas of client relationships, consultative engagements and professional standards and integrity. With a passion for team building and education, Jennifer also directs staff mentoring and training programs and fuels our unique corporate culture, allowing Pinnacle to attract and develop highly talented and motivated team members. Jennifer joined Pinnacle after more than 20 years in executive leadership with an international public accounting firm ranked among the top 200 accounting firms in the U.S. and top 10 firms in the Rocky Mountain Region. A CPA by training, her expertise is broad given a diverse client portfolio consisting of large, high-profile clients in various industries, including manufacturing and distribution, retail, auto dealerships, aviation, restaurants, real estate, health care and professional services.